Jump the fence to school! 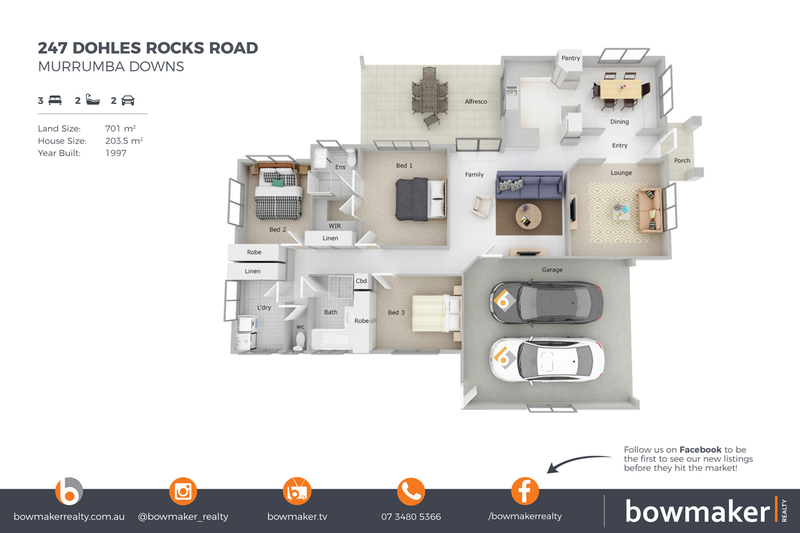 We are excited to present 247 Dohles Rocks Road, Murrumba Downs to the market! Sitting on a 701 sqm block, behind a secure colourbond fence, and in a great location! Undurba State School and Murrumba State Secondary College are literally a 2 minute walk away! Both Kallangur and Murrumba Downs Train Station are within your reach and the new USC Petrie campus is approx 6km away! There’s 3 bedrooms, ensuite to the main, 2 living areas plus separate dining/3rd living, 2 car garage and a large covered outdoor entertaining area! A comprehensive list of special features, inclusions and details, photos, videos and information for this property can be found online at 247dohlesrocksroad.com! To arrange an inspection, contact George on 0408 828 484 from Team Bowmaker, North Lakes leading property marketing agency, today!